//Sub/Corpus Blog: Got a Visa card? Good. Don't let it expire !!! Bank of Maldives Plc Ltd, the state owned bank, has issued a statement informing its customers that expatriates and foreigners with a BML Visa Electron debit card linked to local Maldivian Rufiyaa account will not be able to use their visa debit cards overseas from November 1st, 2010. No transactions can be made with the Visa Electron debit card outside of Maldivies, either on an ATM or at a POS terminal. The statement goes on to say that Maldivians who has already been issued with a Visa debit card can continue using the debit card worldwide, with a controlled spending limit of US Dollar 600/- daily, until their cards expire. New cards will only be issued against a US Dollar account, even for Maldivians. In short, if you want to use your old Visa or apply for a new Visa debit card, you should have a US Dollar account with BML, and sufficient funds in your US Dollar account. Bank of Maldives says it was a necessary decision to survive the US Dollar crisis. It seems that the Bank just does not have enough foreign currency to settle foreign bank charges for increasing debit card transactions abroad. Bank is having tough time, that is understandable, by why did BML issue this statement in local language Dhivehi, when almost all banking communications and services are in English? Especially when this decision affects expatriates and foreigners more than locals? Weird. Everyone traveling to mecca this season for Hajj bought US Dollars in the black market for a highly inflated rate because the banks in Maldives could not keep up with the demand. Everyone who is traveling abroad for the year end holidays will have to do the same. Thousands of students abroad are going to feel the pinch as well. Black market for US dollars has been expanding at an alarming rate for the past months, and this decision by the bank will make the market explode. Maldives is a small country, she is not self-sufficient, and depends heavily (exclusively?) on foreign imports. This US Dollar shortage will further strain the relationship businesses have with Bank of Maldives, will take it toll on the business relation locals have foreign parties, and it will definitely drive up the prices of almost everything. This decision by bank will not go down easily with the general public, not to mention the uproar in the business community. Some say this is the worst years in the Bank's history. The short answer would be to simply find another bank. There are other banks in the country, where you can apply for a Visa credit or debit card, so switching banks does make sense. The problem is Bank of Maldives is the largest bank in the country, it is well established, its operation is wide, and they have a branches across the nation. The other banks cater mostly to a niche, and specialize in corporate banking. 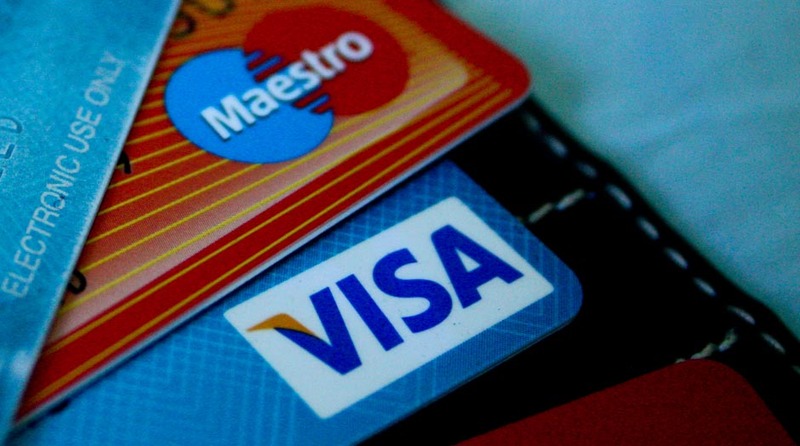 Visa may be by far the most commonly used debit card around, but there are other alternatives. MasterCard? Maestro? If you must have a Visa card, I am sure there will foreign banks which can offer Visa cards to us Maldivians. The procedure may be a little disheartening, but you can get it. Long term solution? I do know now enough to comment on the countries monetary policies. But I would like to hear your thoughts on this. I have one question, this may sound stupid, but if US Dollar is on a decline and at an all time low, why is it becoming increasingly hard to buy it? Are people abandoning US Dollar and starting to trade in other currencies? That would be bad for us Maldivians, since in this country, foreign currency is synonymous with US Dollar. There is simple solution for this dollar crisis. The country already gets enough dollars. Just look at the numbers in the black market. The only problem is the local banks have a shortage as dollar earners (owners of resorts, safaris, exporter, etc) either trade in the black market or deposit them in foreign banks. We need stringent regulations to stop this abuse. As an economist, my humble suggestions are 1) MMA tells all businesses in the country to do all (offline) transactions in local currency and that dollar be traded only with the local banks. 2) MMA could encourage local banks to open money exchange outlets in all the resorts. 3) Police take stringent actions to stop dollar smuggling out of the country. but how easy will it be to pass those law ??? how do we establish an efficient monitoring system ??? how do you not let a visa card expire? perform CPR on it? there'd be more dollars if the hypocrites didn't go on Umra as much with infidel currency. Can't the government come to an arrangement with Saudi to swap rufiyaa with riyaals so that middle-aged women can go on these sawaab shopping trips? Did they say USD 600? That's not true. They limited it 400 earlier and now its 200! And we have to take our cash by several visits to the atms which could take a few days and everyday for each transaction they earn money! And another amazing thing has been happening around here in Malaysia, from 1st Nov onwards, students with previous visa cards, when they go to the ATM to withdraw, the card does not come out when the password is inputted. This has happened with over 5 Maldivians I know in the past week and I don't think this is just a coincidence. And to switch to another bank costs us a lot of money. Mine expires on 2013 luckily, but I wont be so lucky when its me with my card being gulped down by the machine. I find it funny that the PPL going to mecca this season for Hajj bought US Dollars in the black market. I thought they pay in Maldivian Ruffiya in advance to their agents for every thing. 1. i completely agree with Mr. Anonymous (1st comment ) about regulation. Wow, thanks for the info. I thought the limit was USD200 for new cards? Couldn't withdraw USD400..